I can't tell you how happy I am to be using a loofah during bath time again. I don't know why we separated in the first place. Normally, I love to scrub my skin when in the shower, believing that over the years that it and creaming after a shower have helped me with cellulite. Although, while pregnant ... I had no desire to scrub or cream my skin. NONE! So for nine months, my skin got no care. Of course, when vanity set in after baby, I noticed cellulite was apparent on my legs. So now baby was out and I could luxuriate in the shower once again (more like, the ability to bend forward), I wanted to go full force, and pulled out a long loofah, I had stored under my bathroom sink. Feeling rejuvenated once I had used it. I even noticed a remarkable difference in the color under my armpits. I looked like I had freshly waxed, instead of shaved. Also my elbows were smooth once again, not dry. So I knew there was more to loofah than meets the eye! ... And there is. What Are The Health Benefits Of Using A Loofah Massage Sponge ? The "friction" massage a loofah gives is highly effective in loosening, stretching all of your body's muscles! Gives an excellent warm-up stretch for all the body's muscles! 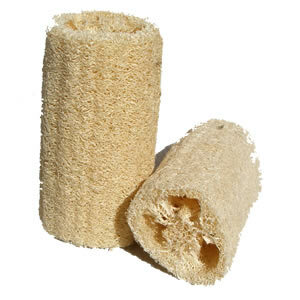 Loofah massage sponges are also deeply relaxing for your nerves! They greatly reduce pain, tension, and muscle soreness in your body! Energy flow along the acupuncture meridians becomes stronger, less stagnant! Along with feeling more "energized" your body's tissues get "detoxified" really good as blood circulation is strongly stimulated and enhanced! Will Loofah Massage Help Remove My Cellulite? Cellulite is the accumulation of toxins and fatty deposits in and under the skin. 80% of women get cellulite on average. Drinking water, ie. 2 liters daily helps to flush out toxins and fat deposits (cellulite). Also, reducing, limiting fatty foods, alcohol, and caffeine in your diet will help eliminate cellulite. Friction massage, that is skin brushing with a loofah massage sponge daily or even a dry brush helps to improve circulation and has been shown to reduce cellulite. ... And from experience, exercise and the use of a loofah will alleviate the sight of cellulite.